A balloon payment mortgage is one available option when you are looking to buy a home. This type of mortgage allows you to make lower monthly payments, however, there is a large payment remaining at the end of the term. 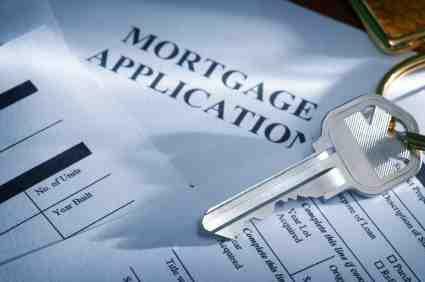 A balloon payment mortgage can be looked at as a combination loan. In the beginning, the loan is a traditional interest-only loan. During this time, you will pay a regular payment each month; if the loan is a fixed-rate mortgage, the payments will be identical each month, but if you took out an adjustable-rate mortgage, your payments may vary according to the interest rate. After the initial term of the loan, which is often from 1 to 7 years, the borrower owes a large lump sum--called a balloon payment. The balloon payment is usually the principal of the loan because the monthly payments typically only cover the interest payments. This is different than a traditional mortgage in that you will generally pay small amounts on the principal portion of the mortgage each month. Having to pay a large amount at the end of the loan period is typically very difficult for most people to manage. To avoid this problem, purchasers often plan to refinance or take out another loan with different repayment terms right before the balloon payment. Another option for borrowers who take out this type of mortgage is the "two-step plan." In this type of mortgage, the loan resets itself when the balloon payment becomes due and becomes a traditional-type mortgage. This may not be available for all borrowers and may only kick in if you don't have any late payments in the previous 12 months and if there are no other loans on the property. Some lenders will allow you to refinance the balloon payment into a traditional loan even if you did not make those arrangements at the beginning of the loan period. This type of mortgage is a good option for some buyers. The large payment does allow your monthly payments to be lower than they might have been with a standard mortgage. There are other benefits to having a balloon payment mortgage as well. Homeowners: If you plan to move before the end of the initial loan period, a balloon payment mortgage may be a good option for you. You would have to sell the home before the balloon payment comes due so that you won't be on the hook for that large payment. A balloon mortgage also allows you to get a larger loan than you might be qualified for with a traditional loan because the monthly payments are lower as well. Investors: People who purchase properties for investment purposes often find these mortgages ideal. Investors may only hold on to the property for a short while and sell it to another buyer before the balloon payment is due. This can maximize the profits for the investor because the monthly payments are small. There are a few areas to be mindful of with a balloon payment mortgage. You don't want to get caught with the balloon payment coming due without a plan to come up with the money. You also may face risks when refinancing the balloon payment because you may not be in the same financial situation as you were when you first took out the loan. The bank may not allow you to take out a new loan or you may get an unfavorable term, like a higher interest rate. If you are unable to refinance or make the balloon payment, you may lose the property. You should keep these risks in mind when considering a balloon payment mortgage. Many banks and credit unions like Bank of America offer balloon mortgages. Remember, your credit rating and financial situation will affect your ability to obtain a loan. You can also apply online for a balloon mortgage through companies like Lending Tree, which connects you with lenders who would like to do business with you. Small Business Administration: This governmental agency is currently offering 504 loans for small businesses that are facing balloon payments before December 2012. You should investigate your options and have a good grasp of your future plans before taking out a balloon payment mortgage. If you decide to move forward with this type of loan, you have to be vigilant and be ready to aggressively address the balloon payment issue either by paying it off if you are able, selling the property, or refinancing the loan. If you do that, you may be able to obtain the benefits without experiencing the potential downfalls.